Each one of us can do amazing things in the world. Take the time to listen to another today- build a bridge to understand them better. We all have an enormous capacity for love. Void if not used before use by date (death). Jessica Jackley co-founder of Kiva tells her personal story here at TED. It is an emotional appeal. How can you be the bridge for another today? This entry was posted in Bridge, TED and tagged Bridge, Jessica Jackley, TED. 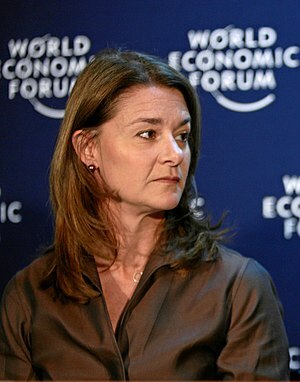 Melinda Gates provides an engaging perspective about what would define a better world in this TED Talk. Great to see that the better half of one of the world’s richest men has her priority on things that really matter. Her belief: it is possible to globally eradicate polio. How does she define happiness? Holding a healthy baby in her arms. Look to the innovators. Here she uses Coca-Cola as a case study. This is an example of ideas as bridges. This is the potential of the 10 City Bridge Run. Connecting people, ideas and places. Join us! This entry was posted in Coca-Cola, Melinda Gates, TED and tagged Coca-Cola, Melinda Gates, TED. It is in the non-verbal portion that there is some serious magic. What is the potential for a ‘pictorial petition’ with 24,000 images of people expressing what it means for them to be a bridge to eradicate extreme poverty while joining with others? Let’s find out! Please I need your support. Considering the sponsoring of the book “Above the Line” to be presented to the G20 Summit leadership. Check out the 24×24 Challenge: Is the Seemingly Impossible Possible? 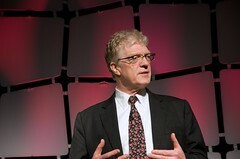 This entry was posted in Awareness, Inspiration, TED and tagged Chris Anderson, Metaphor, TED. Hans Rosling provides proof! The seemingly impossible is possible. Now and again you come across one of those people who somehow makes the complex simple, and in doing so can turn our assumptions on their head. Hans Rosling, hailing from Sweden makes an interesting twist to how we might perceive development and poverty. 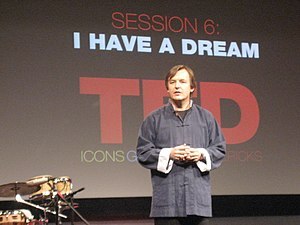 This TED talk from 2007 is worth watching. It was Rich Fleming from the Global Poverty Project who put me onto this information, as I was discussing my intention of doing this run many months ago. He suggested that this question: “Is the seemingly impossible possible?” was worth asking. In five years the 2o15 deadline arrives for reporting on the achievement of the United Nations Millennium Development Goals. How can we best use the information and framing that Hans presents to change our own perspective? Was this useful for you or just an amusing presentation? This entry was posted in Development, Hans Rosling, TED and tagged Hans Rosling, Poverty, TED.